Charity regulator welcomes High Court decision permitting withdrawal of £46 million tax claim. 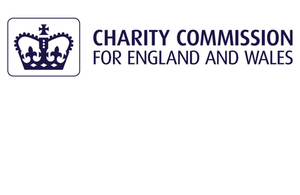 The Charity Commission, the independent regulator of charities in England and Wales, has welcomed today’s High Court decision on the use of a charity in tax avoidance. The ruling, subject to any appeal, permits The Cup Trust charity to withdraw its £46 million tax claim. The commission was concerned that the public trust in charities would be undermined if this charity was required to continue with its tax avoidance claim. By asking the court to hear the issue, rather than taking the decision itself, the commission was free to make arguments based on its objective of promoting public trust and confidence in charities. In his judgment today, Mr Justice Snowden confirmed that the commission was justified in bringing this issue to the High Court, and agreed with the commission that the interim managers were entitled to withdraw the charity’s tax claim, following advice from a leading tax barrister that the claim had a negligible chance of succeeding. The case had been opposed by Mountstar (PTC) Limited, the charity’s trustee which is a private trust company incorporated in the British Virgin Islands. Mountstar had, through its director, offered to pay for the charity to bring the tax litigation, but the court confirmed that the interim managers were entitled to reject this offer. The judge agreed the interim managers were right to be concerned about the offer, and justified in questioning the motives behind it. The commission particularly welcomes the court’s confirmation that, because of their duty to apply charitable assets prudently, charity trustees do not have the freedom to ‘take a punt’ on speculative tax litigation, even if the charity has enough money to pay for it. Today’s judgment is good news for charities and for the public who support them. The public can be confident that charities will not be used improperly as part of tax avoidance schemes, and charity trustees should welcome the court’s clear guidance on their legal duties in tax litigation. The court has accepted the commission’s approach in the case and dismissed the arguments of those who sought to use a charity for tax avoidance. Cases like this will strengthen public trust and confidence in charities, as they show the donating public that we will take action to tackle abuse. The vast majority of charities serve their beneficiaries but action will be taken against the few who abuse the privilege of charitable status. This decision is the latest step in the commission’s work to challenge the use of The Cup Trust in tax avoidance, following the opening of a formal investigation and the appointment of interim managers to the charity. The commission will now continue with its investigation and will report its findings once this is concluded. The Cup Trust was created on 10 March 2009 and registered as a charity on 7 April 2009. Its sole trustee is Mountstar (PTC) Limited, a private trust company incorporated under the laws of the British Virgin Islands. The commission opened a formal investigation into The Cup Trust on 12 April 2013, following allegations that the charity was established to further the avoidance of tax with only minimal sums given to charitable causes. The donors received almost all of their money back while benefiting from the Gift Aid scheme. Shortly afterwards, the commission appointed an interim manager to the charity, to take over the powers and duties of the charity’s trustee. The trustee challenged this appointment in the First-tier Tribunal (Charity), which emphatically rejected the challenge and upheld the commission’s decision in a detailed ruling of 17 October 2013. The commission brought this case to the High Court to seek approval of the interim managers’ decision to withdraw the charity’s claim of £46 million in Gift Aid tax relief. This claim had been made by the trustee before the commission’s intervention. The case was brought using the commission’s power in section 78(5)(b) of the Charities Act 2011, and is the second time the commission used this power, following The Dove Trust case in 2014. Details of how the commission reports on its regulatory work can be found on GOV.UK.